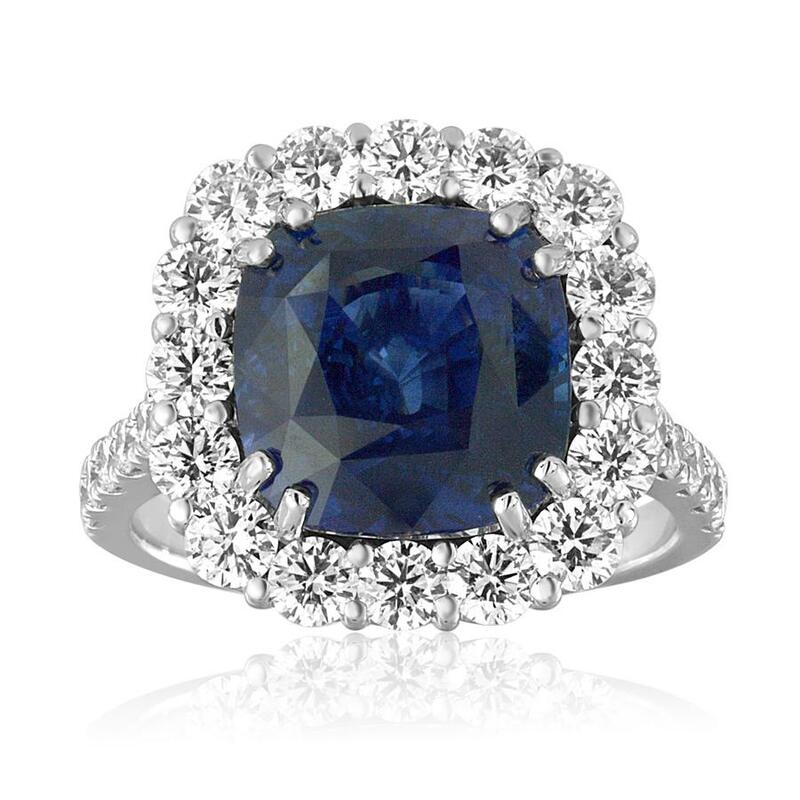 Sapphire & Diamond Ring. 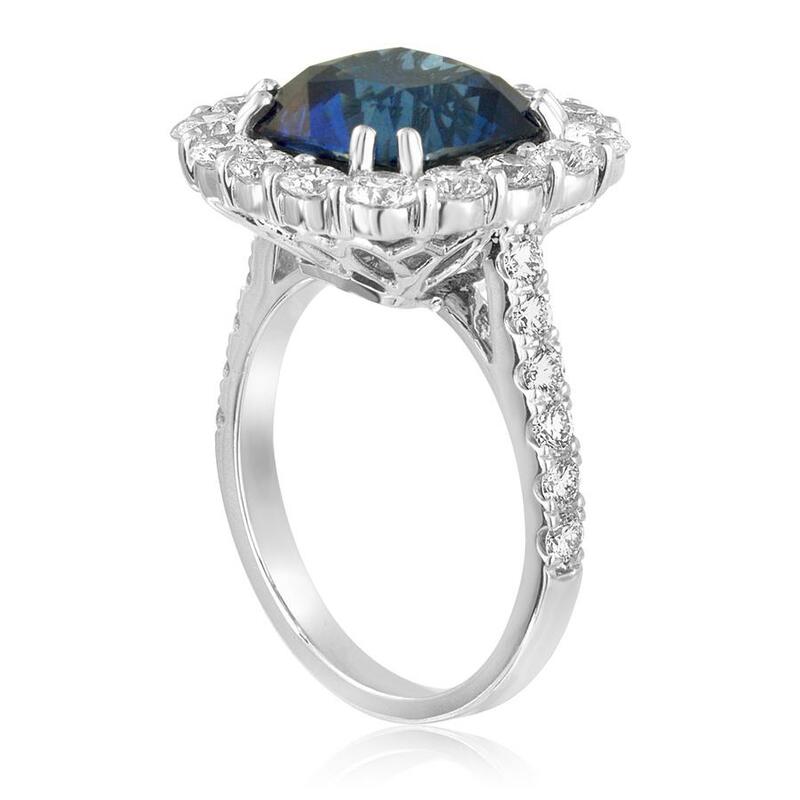 This ring has a 7.61ct sapphire center stone. There are diamonds surrounding the center stone and diamonds going half way down the shank.